This weeks High Hopes Challenge is to use Snowflakes. I went overboard! 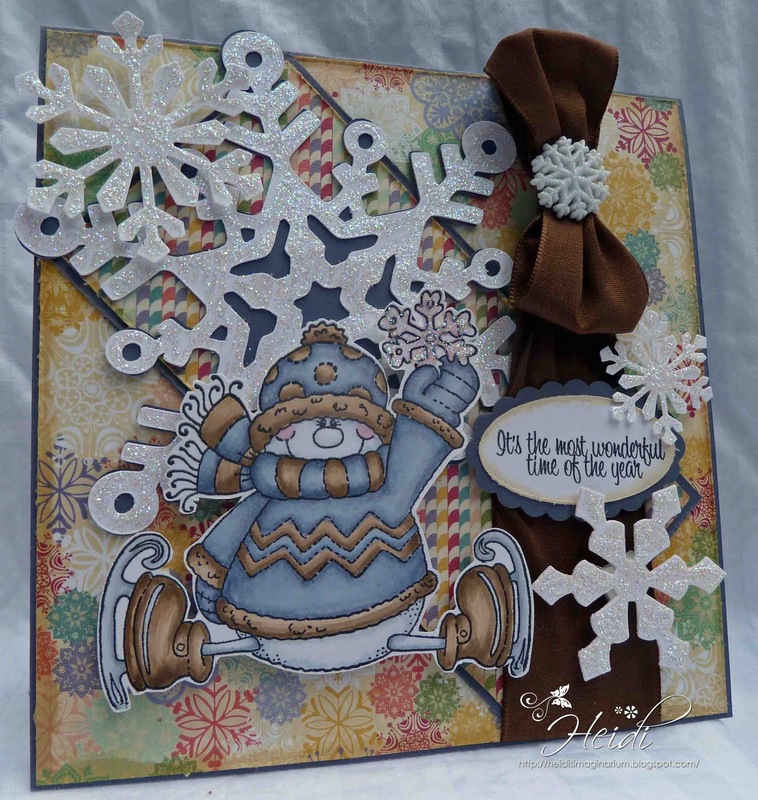 I love using snowflakes as embellishments. First, I love finding new snowflake Dies/Punches/Templates. I love how the basic snowflake has evolved over the past few years. This one uses some very basic Martha Stewart snowflake punches. Oh My Gosh....I used Martha Stewart and basic in the same sentance! I cut out the big snowflake using my Cricut and the When It's Cold Outside Cartridge. It's one of the few cartridges I still have. Most of the time I use the Sure Cuts A Lot Software with my cricut. Thanks for visiting! I hope you get a chance to participate in this weeks challenge! 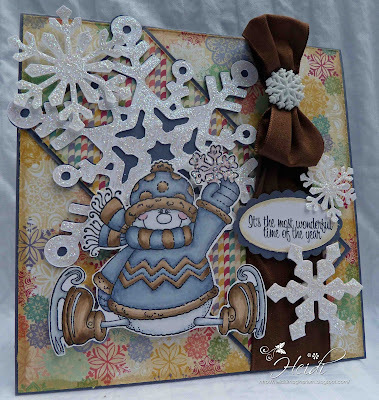 I know you have lots of Holidays cards to create! can never have too many snowflakes at christmas!! gorgeous card heidi ~beautifully made! Oh Heidi this is gorgeous. I love your choice of colours and all your snowflakes.